Immigration often has negative associations in the press: we have all heard stories about failed Asylum Seekers with criminal convictions being allowed to stay in the United Kingdom because they have a cat or because of their gym membership. However, UK Immigration Law can affect us all to a varying degree. You may be an employer who wishes to employ an employee or an employee from outwith Europe. You may be a non-European student or employee who wishes to work or study in the United Kingdom. You may be or may have a non-UK husband or wife. You may have resided in the United Kingdom for a number of years and have made the important decision to apply to be naturalised a UK citizen. Immigration Law constantly changes. In recent years the Points Based System has been introduced for students and workers. This has resulted in employers requiring to register with the Home Office as sponsors in order to employ non-EEA employees. The most recent changes have overhauled spouse’s applications by setting minimum financial requirements and extending the probationary period from two to five years before an applicant can apply for indefinite leave to remain. How can Stewart & Watson assist you? Simon Liddiard has had in excess of 10 years experience in all types of immigration work including employer/employee related applications under the points based system; applying for indefinite leave to remain for spouses; applications for indefinite leave to remain under the long residence rules; applications for naturalisation as well as Asylum. He has had vast experience in the immigration appeals system when applications to the Home Office have not proved successful. Simon is a member of the Immigration Law Practitioners’ Association. Although the actual application requires to be submitted by the employer themselves, we can provide employers who wish to employ non-EEA citizens with advice and assistance on applying for a certificate of sponsorship and on your sponsorship duties. Failure to comply with your duties as employer can result in criminal prosecution with hefty fines imposed. We can advise and assist non-EEA employees and self-employed persons with their applications under the points based system. We can provide advice on the regulations and on evidence which is required in support of such applications. This, again, is a constantly changing area with routes which were previously available being closed or caps imposed. 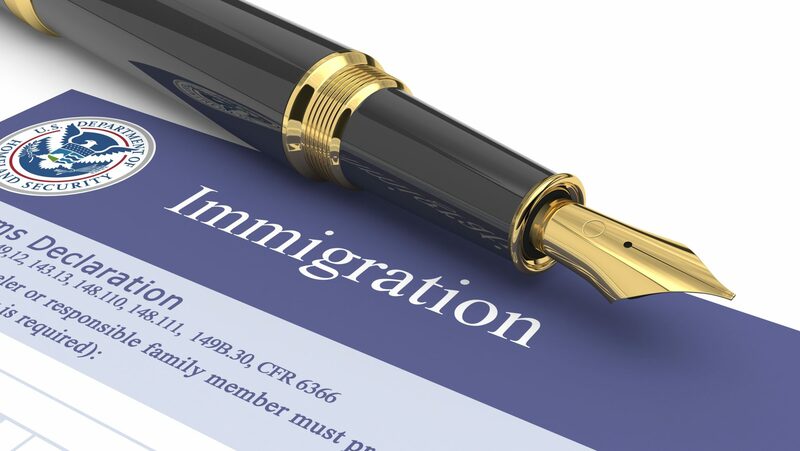 We can assist non-UK citizens married to UK citizens in their applications for indefinite leave to remain once they have completed the five-year probationary period and also with the interim applications which require to be made during the probationary period which has recently been introduced. Such applications often fail because applicants are confused by the evidence which they require to submit in support and do not provide the required evidence. We are able to provide assistance in relation to applications to be naturalised a citizen of the United Kingdom to persons who satisfy the residence and other criteria and who wish to take the important step of becoming citizens of the United Kingdom. Unfortunately not all applications will be granted by the Home Office. Often these refusals will be subject to appeal and again we can provide advice and assistance on lodging appeal and subsequently conducting the appeal.